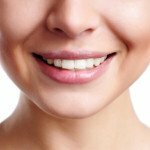 Dr. Harold A. Pollack and the entire team here at Beautiful Smiles want to make your experience with us as comfortable and convenient as possible. From cosmetic and restorative dentistry options to routine and preventative treatments, we believe that all individuals should have access to the best possible care, regardless of their financial situation. With that in mind, Dr. Pollack accepts a comprehensive range of payment methods and works with one of the most reputable healthcare financing companies in the nation. We will work with you to select the option that can best fit your budget so that paying for your procedure is less of a concern. CareCredit® healthcare financing offers an array of options to help patients finance their dental treatment and pay for it over time. Qualified applicants can choose from a number of flexible monthly payment plans, including low-interest and zero-interest options. You can apply for CareCredit® financing via the company’s website or a member of our dental team can help you apply here at our office. The approval process typically takes only minutes to complete and, if approved, you can begin taking advantage of the benefits immediately. We will be happy to answer any questions you may have about payment and financing options for your dental treatment here at Beautiful Smiles. Please contact us today for more information, or to schedule an appointment.